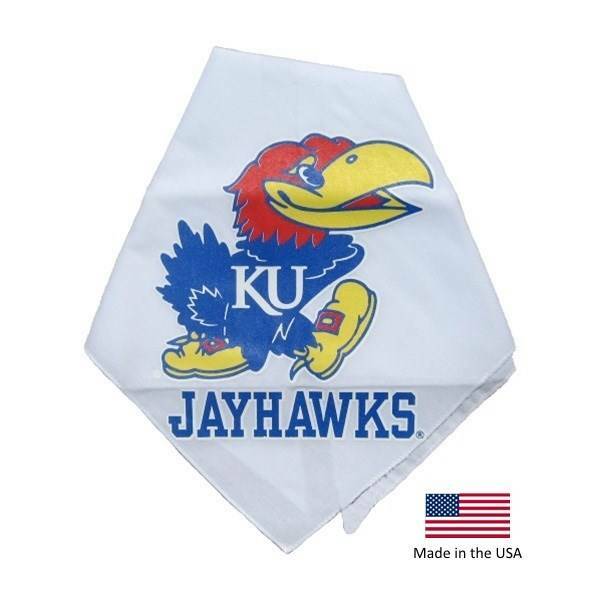 Support the Kansas Jayhawks with this officially licensed NCAA white pet bandana! Support the Kansas Jayhawks with this officially licensed NCAA white pet bandana! Designed with the team logo set on a white bandana, this bandana is pre-cut into a triangle half for easy tie-on. Up to 25" 30" 15"